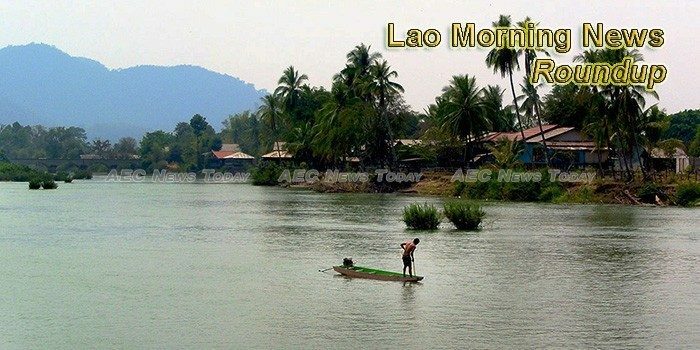 Laos will undertake a prior consultation with Mekong River Commission (MRC) members over a new Mekong hydropower project, the MRC Secretariat announced this week. The number of people visiting Laos is high compared to neighbouring countries if the nation’s population size is taken into account, as tourist arrivals are more than half the size of the total population of Laos. A U.N. review of the rights record of Laos scheduled for July should look closely into the condition of civil and political rights in the Southeast Asian country, focusing on reports in recent years of forced disappearances and harsh prison terms handed out to critics of the country’s government, two Paris-based rights groups say. The leaders of Ayeyawady, Chao Phraya, Mekong Economic Cooperation Strategy (ACMECS) member countries will meet at its 8th Summit in Bangkok, Thailand from June 15-16 to review the economic cooperation strategy. The Prime Minister of Laos has warned that the small Southeast Asian nation may be unable to rise out of Least Developed Country status by 2020, as targeted in a 2001 government plan, according to a report in the state-run Vientiane Times. Deputy Prime Minister Sonexay Siphandone and his delegation attended the 5th China-South Asia Expo and the 25th China Kunming Import and Export Fair in Kunming, Yunna Province on Jun 14. The Thai government has promised continuing support to Laos for construction of the Laos-Thailand Friendship Social Development Centre in Vientiane to help victims of human trafficking in the country.